Spiky hair has been an obsession of ours since the 90s. 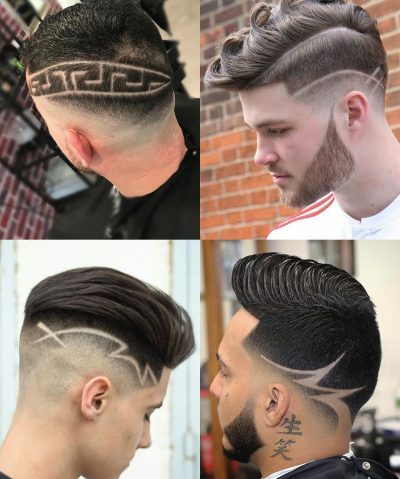 A hairstyle that constantly hung on our walls in the form of pop star posters, as well as decorated our heads when our mums weren’t looking, it’s now making a massive comeback. And it’s back with a bang! Thankfully, today’s spikes are nothing like the ghosts of the past. They’re not clumped together, nor hard. They don’t create the impression of just-out-of-the-shower look for the whole day. Modern spikes are all about sophisticated, cool and carelessly messy – and they deserve a place on your future hairstyles shortlist. In this post, we’ll teach you how to style spiky hair like a pro – and how to bring your spikes into the 21st century! Nailing the perfect spiky hairstyle begins in the barber’s chair. 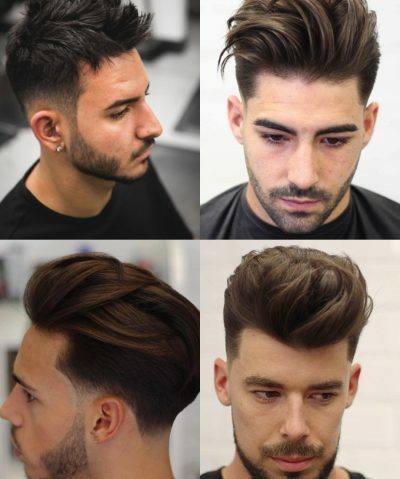 While spiky hair is extremely versatile and can work on pretty much any haircut (as long as you have enough hair to play with), there are certain rules when it comes to hair length that you must follow to get the perfect result. 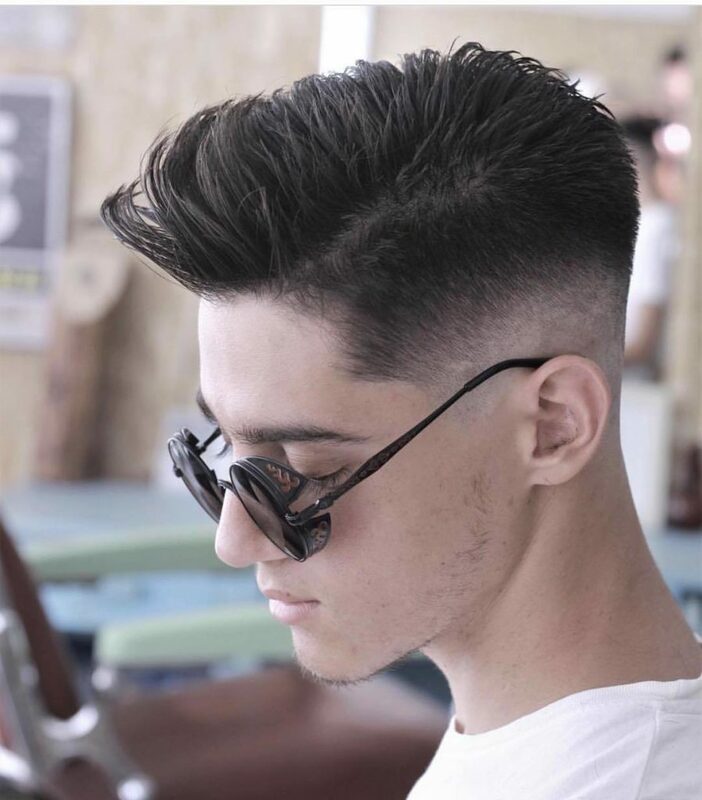 To achieve a cool spiky cut, ask your barber to leave you with at least 0.5 to 2 inches of hair on top – this way, you will have just the right amount of length to spike up. 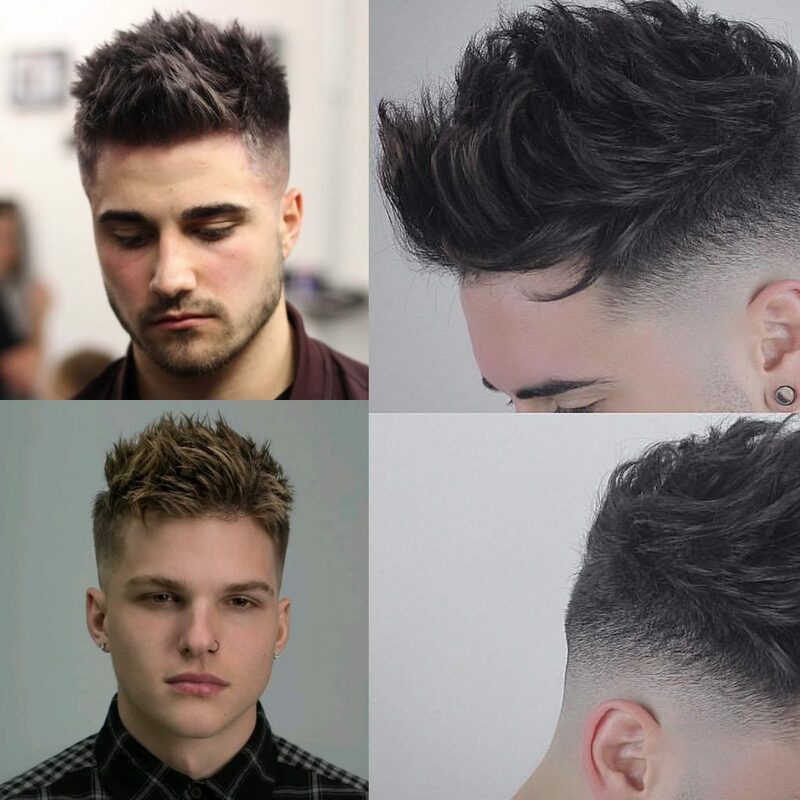 What you do with the sides is up to you – but short sides, long top haircuts are in right now, so we recommend getting your sides cropped, faded or tapered. If you’re a braver soul who isn’t afraid to stand out a little more, why not go for an undercut? 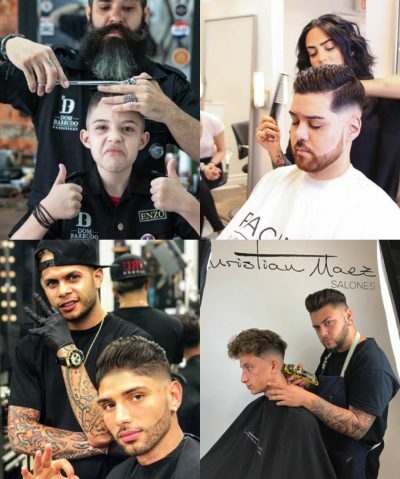 Getting a fade or an undercut will mean that you are creating more of an eye-catching look – a result of a bigger contrast between the short and neat sides and the messy, spiky top. Pompadour: A pomp is usually classy, smooth and round – but the fearless modern-day man shouldn’t be afraid to jazz it up with some spikes. Plus, if your hair is naturally messy, achieving spikes will be a much easier way to style your hair, saving you time and effort. 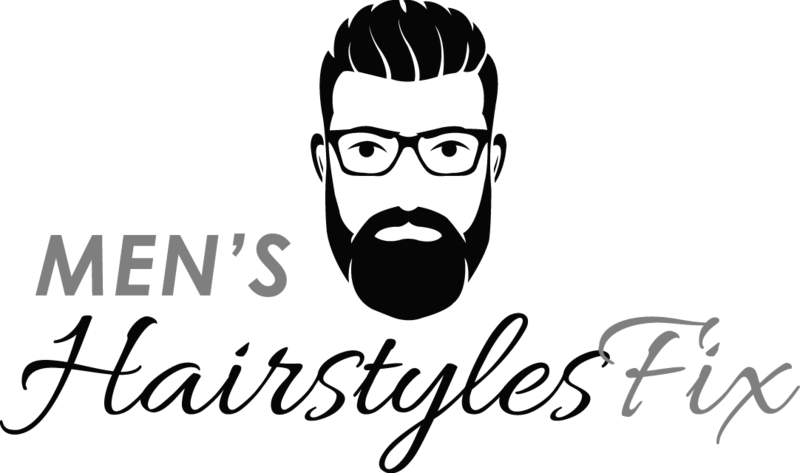 Long, spiked up hair can be difficult to keep in place for the duration of the day, so you may want to get some help from a strong pomade and hairspray. Just don’t overdo it with products – we’re not looking for crispy texture – but an urban, textured look. 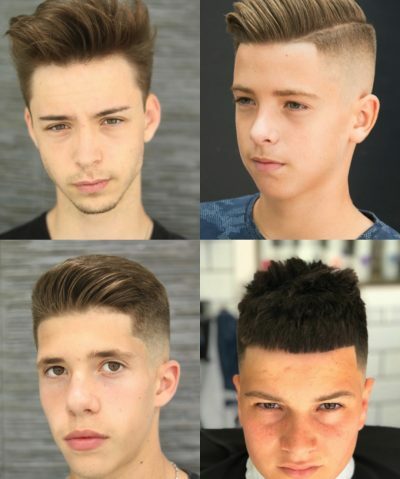 Faux hawk: While the pomp will have lots of volume with the front of the hair swept back, with a fohawk you’ll have to direct your hair towards the middle, so you can achieve lots of volume that’s sort of in a triangular shape. 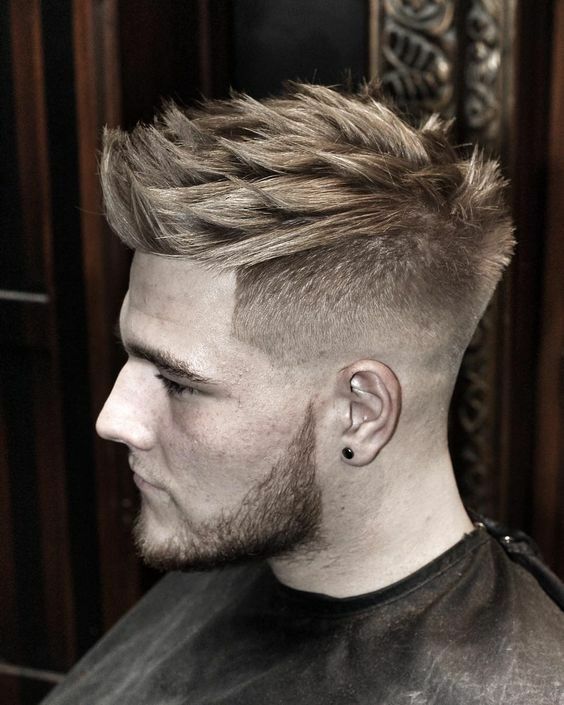 Go for a spiked-up fohawk if you’re after more structure, but nothing swept back and formal. If you pair your spiky fohawk with faded sides, you’re likely to achieve the most impactful look, as the pointy top will really stand out. 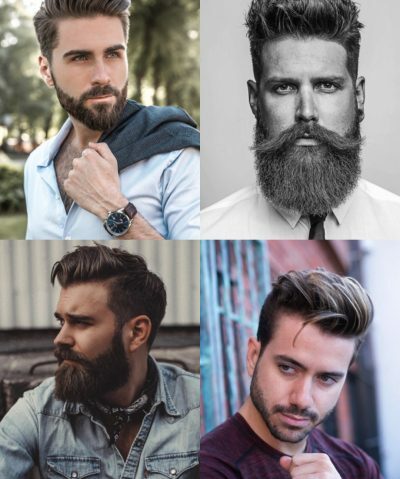 To achieve a good and strong hold, use pomade or clay. 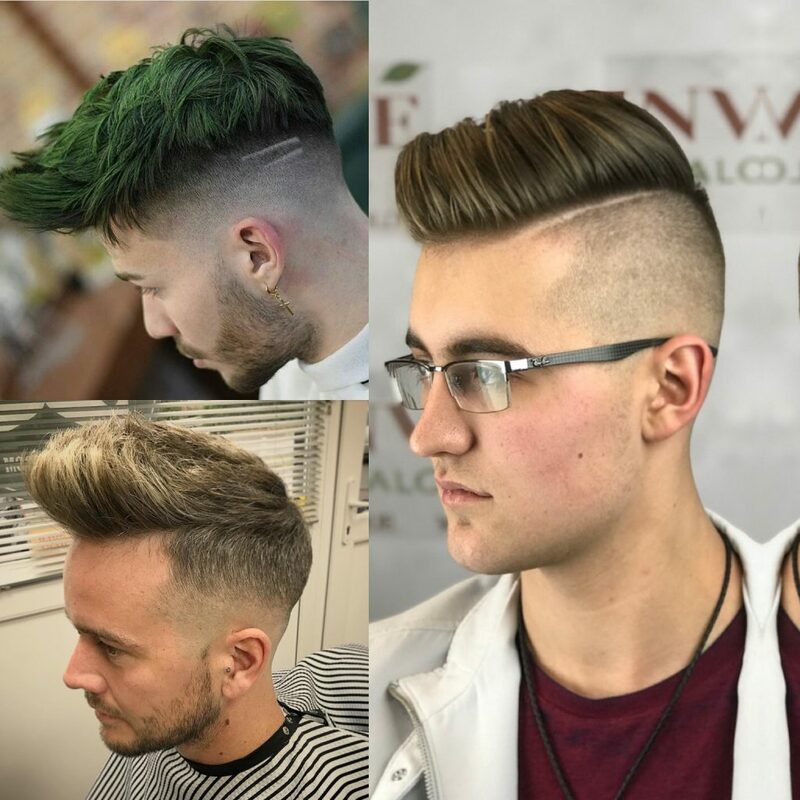 Side part: A side part is a style that’s really cool on its own – but with textured spikes, it quickly goes from ‘cool’ to ‘unbearably cool’. The key to achieving contemporary spikes is to prep your hair (and then, get some help from strong-hold hairspray). The prep involves washing your hair and adding some quality hair mousse to help achieve the look. Shape your damp hair with a product – pomade or thick hair wax – and finish the look with some hairspray. Again – products are here to help – but don’t overdo it, so that the spikes are not crisp. 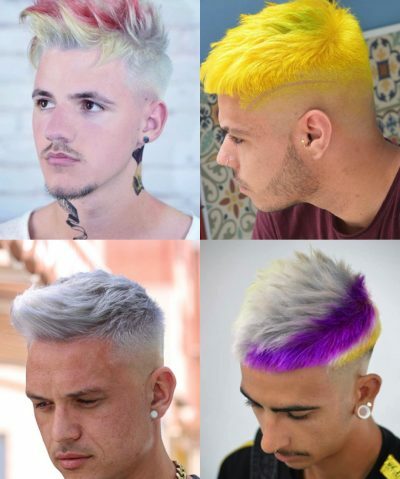 And now – we’ll take you through the steps of achieving the perfect, textured spikes – because nailing the look can be a little tricky at first. Mostly because, if you let a few steps go wrong, you risk looking like a time-traveller visiting from the 90s. Step #1: Prep your hair. The only way to achieve awesome, textured spikes is to start with clean hair, that’s free of all products. Begin by washing your locks with shampoo and towel-drying it but leave your hair slightly damp. If your hair is curly, avoid ingredients like coconut oil, because these heavier ingredients can make your hair more difficult to spike. Step #2: Remove tangles and knots. The perfect spikes will be difficult to achieve if your hair is tangled and knotted, so the next step is getting rid of such things with a wide-toothed comb. Step #3: Grab some strong-hold pomade. Now, grab a dime sized amount of water-based strong-hold pomade – less is always more. You can always top up if you need to afterwards. Place the product in the palms of your hand – and rub it to warm it up. This will ensure that the product sticks evenly to the hair without creating clumps. Step #4: Style your spikes. Run the product through the hair, focusing on the front section. Apply the product thoroughly, using your fingers to spread it evenly on your hair. Don’t overdo it with coating your hair – you’re not aiming to channel the greasy businessman look. Spike your hair up – if you’re aiming for a high, elevated look, or towards the middle, if you’re working with a fohawk.